Virtual football can be just as exciting and exhilarating as actual football, especially when the virtual variety places some of the best gamers in the world behind the gamepad. This is exactly what’s going to happen in Germany on 18th and 19th of May 2015 when the PS4 FIFA 2015 World Cup takes place. 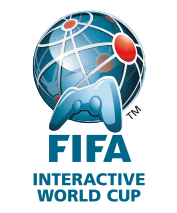 20 of the most talented virtual football players will compete in the FIFA Interactive World Cup Grand Final. This is one of the most significant competitions in the field. Winning the tournament is the virtual equivalent of winning the FIFA World Cup, which Germany is the current holder of, so having the Grand Finals there is quite fitting. The platform that will make this competition possible will be the Sony PlayStation 4. The console will be the field of the fierce battle of skills and dexterity between 20 of the world’s best PS4 FIFA 2015 players. 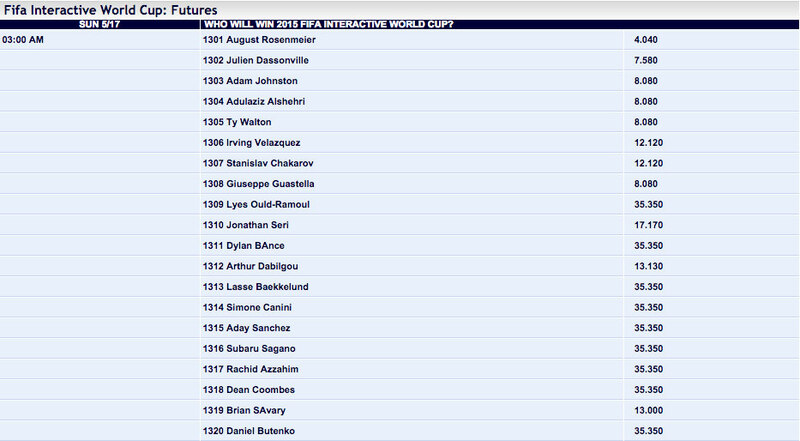 The winner will claim the title of FIFA Interactive World Cup Champion. However, in order to get there, he will have to beat all the other competitors who want the title for themselves. This is going to be a difficult task, and their mastery of EA Sports’ FIFA 15 will be put to the ultimate test. The PS4 Fifa World Cup 2015 is starting on Monday May 18th with the Group Stage followed by the Quarter-Finals of the tournament. The 20 players are draw into 4 groups and the best 8 players advance to the Quarter-Finals of the eSports World Cup. Betting odds for EA FIFA Soccer are available at several big online betting sites. You can place bets on the overall winner of the tournament at Bet365, Bet-at-Home and Pinnacle Sports. Do give you an overview of the favourites and underdogs in this eSports tournament we feature selected beeting odds. You can find our more about betting on eSports here. The 20 top players are currently awaiting their trip to Munich where they can finally prove their skills. Before that can happen, though, they have to be seeded. The seeding process is not in any way intricate or complicated. It will be conducted on the 17th of May and will decide the groups. All players are currently divided into five pots based on their position in the World Ranking (for more information – click here). Consequently, each pot contains four names. At the seeding, each name will be drawn and placed into a group alphabetically (meaning group A will be first, then group B, etc.). The names from the first pot will be drawn and divided, then the second one, the third one, and finally, the fourth one. Thus, all four groups will be filled and the battle can commence. Qualifying for the Grand Finals of the FIFA Interactive World Cup is no easy task. Every year, millions and millions of players compete in the hopes of reaching the big stage and having a crack at the prizes and prize money the tournament has to offer. It’s not just about the honor of becoming the FIFA Interactive World Cup Champion, but there are also some quite decent prizes. Compared to other eSports like Dota or Lol the prize pool is pretty small, but there is only one player who gets it and not a complete team with coaches and other staff. The Grand Prize for the winner of the FIFA Interactive World Cup Grand Final is $20,000 and an unforgettable trip to the FIFA Ballon d'Or for two. The money is great, but to many FIFA Interactive World Cup Champions, the trip is far more valuable because it is the experience of a lifetime. They get to rub shoulders with some of Football’s greatest legends, which can be worth far more than money. It is an opportunity to make your dreams come true, especially if you’re a football enthusiast. All you have to do is become the FIWC Champion. The prizes for the second and the third place are far more modest. Silver medal gets $5,000 and bronze goes home $1,000 richer. The prize for the first place is far more appealing, as you can see, which is why the competition will be fierce. However, even if a virtual Playstation footballer isn’t among the top three, they can still feel proud that they’ve reached the Grand Finals and can be glad that they get to travel to Munich in order to compete in a prestigious tournament. The Grand Finals can be followed live through a variety of streams. They will be shown on FIFA.com’s dedicated page for the Grand Finals, as well as on Facebook Fan Page and the official FIFA YouTube Channel. You can watch the matches of the Fifa Playstation World Cup live on Youtube – Find the links to the live streams below. The The spectacle will be promising. The Group stages and Quarter-finals begin at 17:00 local Munich time on the 18th of May. 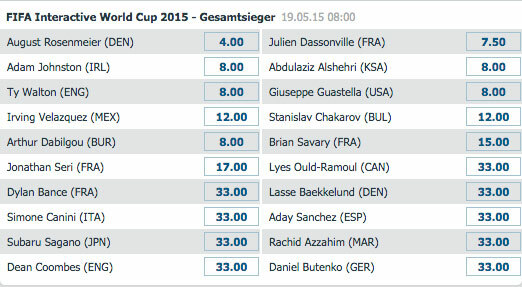 The semi-finals, match for the third place, and the finals begin at 19:00 local Munich time on the 19th of May. Do not miss it. It’s surely going to be worth watching, even if you have to delegate several hours to watch the entire program. We wish all the contestants the best of luck! Amna El Tawil is a news reporter and a technology blogger. For the past five years, she has worked for major publications and TV networks in the Middle East, covering one of region’s hotspots. When Amna is not chasing after the truth amidst gas canisters, she can be found cheering her favorite football team on, or unwinding with some online gaming.